SEE SHORT VIDEOS. CONFIDENCE & FITNESS FOR JUNIOR NINJA KIDS 7-12. FILL IN SHORT FORM TO THE RIGHT OR CALL JOE CORLEY TODAY AT 404-502-3777 TO SCHEDULE YOUR FREE NO OBLIGATION PRIVATE LESSON & OVERVIEW! OR A SIMPLE GIFT OF $49 FOR 4 WEEKS! At Atlanta Extreme Warrior we have purposefully set up our classe s so that every family member can learn martial arts, can train together and can support one another on their martial arts journeys. Some parents choose to train in the same classes and on the same techniques as their kids in the American Karate & Tae Kwon Do curriculum. Others choose to train in the adults only classes of Warrior X-Fit, Krav Maga or Kickboxing classes. The techniques of punching and kicking in all these courses are the same, so every family member in whatever course is learning techniques they can practice with other family members. Stephen Covey’s 7 Habits of Highly Effective People and his son, Sean Covey’s 7 Habits of Highly Effective Teens and 7 Habits of Happy Kids lay the foundation of our American Karate & Tae Kwon Do philosophy. Parents will very much appreciate where this leads! The 2 1/2 year olds are treated to FUN and EDUCATIONAL Martial Arts activities as Mom and/or Dad move around with the young ones on the mat. They learn the structure of lining up on their set points (structure) to saying Yes Sir and Yes M’am in an assertive way (Courtesy & Respect), to punching and kicking numbers and letters from our targets, running, jumping and “Playing Karate”. When they are ready to understand what a class is, they move to the Tiny Tigers. Our objectives with these youngsters are FUN and FOCUS, MOVEMENT & TEAMWORK. We teach these youngsters in a dramatic way so as to make learning fun, as if they are “playing karate”. The goal is to make learning and focus FUN so they will want to continue LEARNING and improving FOCUS. They do learn the martial arts techniques of kicking and punching learned by the older kids in order to develop strength and coordination, along with related games to improve their left and right brain coordination. At this age, most of the kids need a positive outlet for their energy, and most parents are seeking to lay a foundation for other athletics without the constant pressure of Win-Lose. Our focus is I CAN, I WILL and I WILL BE SUCCESSFUL! So many athletics focus so much on winning from an early age, many times participation is counter-productive–disempowering kids rather than building confidence. Often, only the naturally good athletes feel empowered. By age 7 many kids have tried some or several activities, and they have developed some self images that are good and others that are not so good. We take the approach that we can reinforce the positive for them in every class, using the PCP approach to instruction. We expand our areas of focus in this age group to include all the elements taught to the younger kids plus POWER, SPEED, DETERMINATION, INSPIRATION, PERSEVERANCE,ATTITUDE, CONFIDENCE, HONOR, INTEGRITY and more. We are dedicated to having our kids go into their teens armed with the courage they need to live by the principles taught by their parents at home. Teenagers (and even the Tweens today) are so pressured by peers in person and on their hand held devices that we seek to arm them and their parents with the principles and courage to face the onslaught of mind-numbing social media that takes our youth off course from setting and achieving personal goals and potential. Teens have always been influenced more by their peers than any other group, and the hand held devices of this current generation simply magnify those influences many fold. We seek to build the resolve of our students to a point where they will courageously Do the Right Things, with the Right Reasons and for the Right Principles. As mentioned above, some parents want to share the very same experience with their kids, and this is the perfect class for them. All the family members are working on the same techniques at the same time, often with each other and other times with people of their own age. They get ready for their belts at the same time and can work on those same techniques together as they prepare for their next belt levels. Teens and parents can do that same thing in the Kickboxing classes. 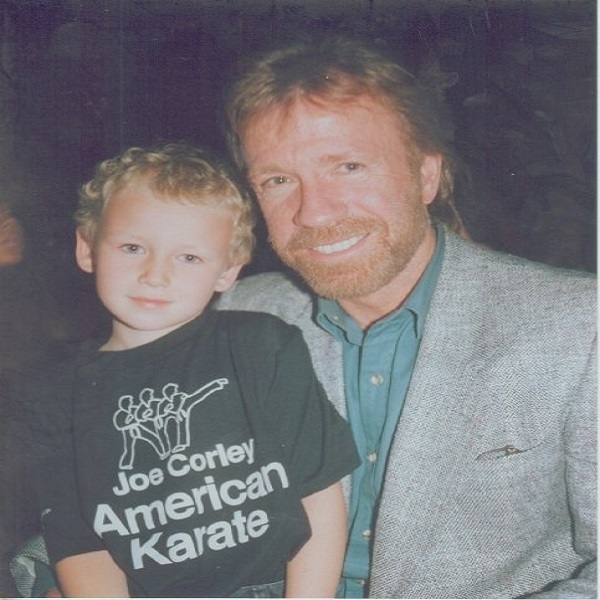 It bears repeating: in today’s world, even if parents and kids are in our different course classes, they can definitely practice together at home for their next belts, because they are all learning the same punches and kicks in each of our courses–from kids classes to kickboxing to Warrior X-Fit and Krav Maga.